Home > Printable Coupons > New Printable Coupons: Hasbro & RoseArt! New Printable Coupons: Hasbro & RoseArt! I have some really fun game printables for you this morning! Any of these would make great gifts for the young ones in your life! 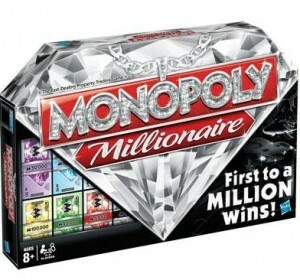 Hasbro Monopoly Millionaire game is on sale at Target through tomorrow for $14. Use the coupon below and stack it with this $2 off Target coupon and get it for only $9!